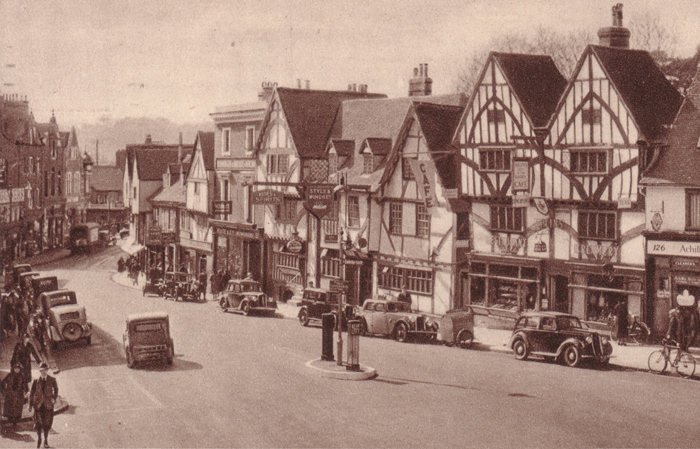 The Chequers is probably the most photographed building in Tonbridge after the castle and has been called "one of the finest examples of a Kentish timber-framed building that can be found today". It stands on the High Street on a site just below the castle where an inn possibly stood in 1264. The present building dates back over 500 years to the late 15th century. The name could be linked to the word "Exchequer" and a connection with fee-gathering for the lords of the castle. A room on the first floor was possibly used as a Justices' room and at times a hangman's noose dangled from a strong oak sign post that jutted out over the street. 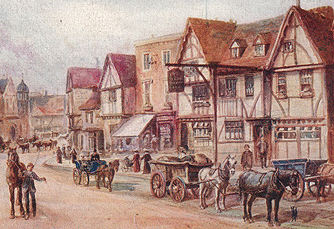 Close to The Chequers was the traditional place for legal punishments – such as the stocks and a whipping post. In July 1555 Margery Polley was burnt here for her religious beliefs and in July 1575 Katherine, the wife of Edmund Brystowe, was burnt for poisoning her husband. 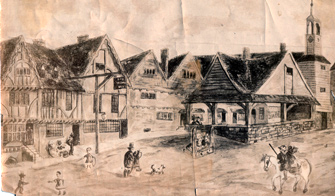 The inn was also used as a location in many of the novels of Jeffrey Farnol. >For more views of the Chequers please go to the home page and type 'Chequers' into the search box.